To finish the summer, we’ve got a great offer to get you and your family together for that portrait session you’ve been meaning to book. As the season winds to a close, I invite you to take advantage of my Final Days of Summer family portrait promotion. Capture your beautiful family (and your perfected tans) with a photography session and receive a complimentary framed portrait with your purchased photo order. 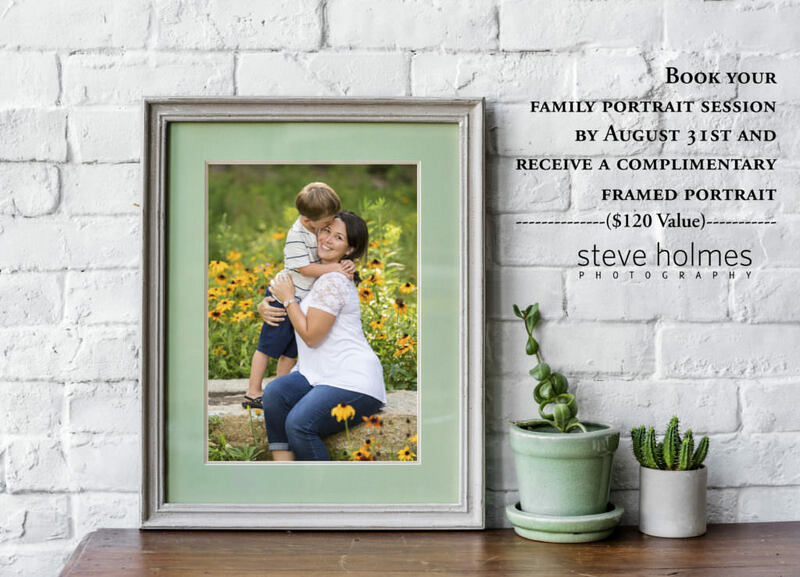 Book your family portrait session with Steve Holmes Photography by August, 31st and receive a complimentary framed portrait with your purchased photo order ($120 value.) Don’t hesitate, get your session on the calendar today! To book your session, call: (603) 439-2150 or email steve@steveholmesphotography.com. This entry was posted in Promotions and tagged Family Portraits, On-location Portrait Session, promo, Promotional offer, Summer Portraits.